WE ARE SUPER STOKED ABOUT THIS RECORD. ITS GONNA BE SLEAZY, ITS GONNA BE HEAVY, ITS GONNA MAKE YOU WANNA CRANK THE TUNES, GET DRUNK AND PARTY ALL NIGHT LONG! we are currently in preproduction for our second album! 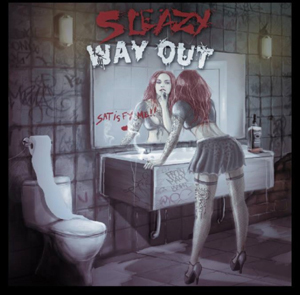 SLEAZY WAY OUT'S DEBUT ALBUM IS AVAILABLE NOW!!! Check out the store link to see other Sleazy Way Out merch. Keep checking back as we will be adding more items soon!